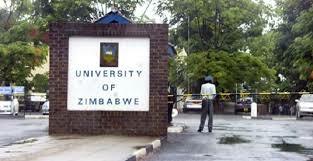 The University of Zimbabwe (UZ) has summoned a student to appear before its disciplinary committee to answer to charges of misconduct in connection with a demonstration held at the institution last year. Kudakwashe Guta, who is represented by Denford Halimani and Kuzivakwashe Ngodza of Zimbabwe Lawyers for Human Rights, will appear before the UZ’s Student Disciplinary Committee today to answer to charges of breaching the university’s rules of conduct. UZ authorities alleged that Guta, a political science student at the university, participated in a demonstration held on June 26, 2017 led by some medical students, who protested against the arbitrary hiking of fees. During the demonstration, the UZ authorities charged that Guta incited violence on university premises by urging fellow students to insult and physically attack security personnel. The university authorities said Guta’s alleged conduct was in breach of some sections of Ordinance 30 as he had no right to do so. Oddly, the UZ authorities’ decision to haul Guta to appear before a disciplinary hearing comes just after he was acquitted by Harare magistrate Victoria Mashamba.